On the morning of March 28, 2011, a ship filled with humanitarian aid goods purchased by Zakat Foundation of America (ZF) sailed across the Mediterranean Sea from the island of Malta to Misrata, Libya where there is a critical shortage of food and medicine. 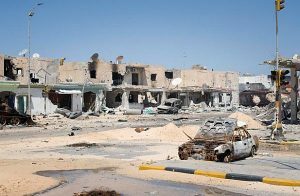 In Misrata, Libya’s third largest city, people’s lives are at serious risk due to a lack of medication, food and water. The city continues to see heavy fighting between the Kaddafi forces and opposition vying for control of Libya. As a result, access to basic necessities has been cut and services such as water and electricity have been turned off by government forces. The humanitarian situation in Misrata has been described as grave, and the only way to get supplies into the city is by boat. In cooperation with the Maltan Ambassador to the US, as well as ZF’s local partner in Malta, humanitarian goods were packed on a ship that will use a humanitarian aid corridor to deliver much needed supplies to civilians in the battered city of Misrata. The goods included rice, pasta, sugar, tea, baby milk, baby food, cooking oil, bottled water and medicines. The shipment of humanitarian goods to Misrata is a part of ZF’s comprehensive response to the current crisis in North Africa. ZF also maintains a medical clinic and feeding program at Libya’s border with Tunisia and has arranged the trucking in of supplies to the people of Benghazi, Libya. ZF asks its donors not to forget the people of Libya during this desperate moment of need. View more photos of the ZF team in action.